← The agony of the “EX”tacy this Mardi Gras Season. What is it about lesbians and power tools? 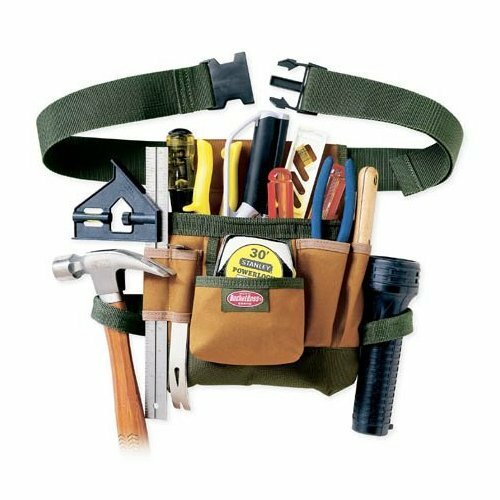 Is it really just the tool belt? Or is it crafting something with your bare hands? Do sawing, nailing, drilling and painting really turn on as many girls as we think? Many of us prepare for March 5th, or Gay Christmas that is Mardi Gras 2011, by preparing our outfits, getting our spray tans and practicing our best party pout. But there is a whole group of people getting ready in a different way. In just 6 weekends time we will line Oxford Street and see the parade go past in all it’s creative glory. 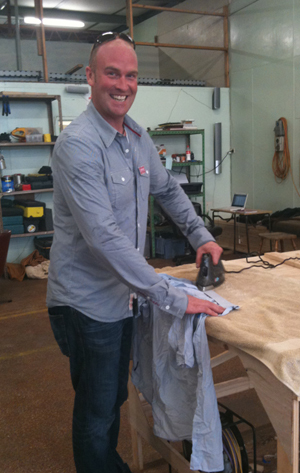 Brendan our Workshop Manager - he iron's too! So spare a thought, just for a moment, for all the work that goes into getting us there in the first place. All the power tools used, things painted, Paper Mache lovingly wet, glued and molded together, and costumes sewed. Hours on hours spent ensuring our messages are loud, heard and most importantly, said in a way that is creative, witty, relevant and fabulous. So you can imagine how wonderful it is that the Mardi Gras Workshop opened again last weekend at 107 Redfern st, Redfern. What makes this such a special event is that artists are starting to flock in again, offering skill and talent, re-grouping and creating the new messages of our communities. After a few years absence we are once again able to come together in the lead up to the parade and share ideas, visions and materials to make this our very special day. And this is where you come in, you can volunteer time or materials to help a group really go off with a bang on parade night. Everyone is welcome, just come on down and sign up! I really want to get down there in the lead up, just pick up a brush and start helping a group realize their dream. There is something about lesbians and power tools that just do it for me and I am quite content with a little creative project where I can build something real in a world that is so often online and unseen. And let’s face it – There’s nothing quite like seeing your little bit come down Oxford street in front of thousands of people. Despite my best efforts, I’m utterly hopeless with tools, unless you include the sewing machine.